Kingdom Hearts Union X Tips and Trick | What You Need to do in This Game! Who doesn’t know about Kingdom Hearts series? This is the first series that changed everyone perspective on the gaming world. The combination between Disney and Final Fantasy is really surprising. All of you must never know something amazing like this could happen. Because of my love of this series, today I want to give you Kingdom Hearts Union X tips and trick. This is the latest Kingdom Hearts game on the mobile platform. Are you curious about this one? 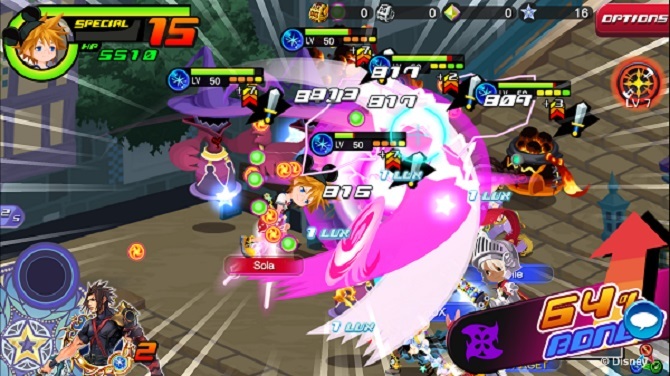 Scroll down your mouse to see more information regarding Kingdom Hearts Union X trick. Kingdom Hearts Union X Tips and Trick | The Information That You Need to Know! Avatar Boards: The most important thing in this game I think. Because with this board it can increase your HP, AP, and the cost of your medal limit. You need an avatar coins to unlock the skill. You can get the avatar coins by playing the story stages and level up. Everytime you complete a certain task, you will be given the avatar coins. I recommend you focus on getting the important aspects first such as HP, AP, and medal cost rather than the costume. You can buy that later if you have enough avatar coins. Medals: The second one is a medal. It’s really important to make a progress on this game. You need to equip a suitable medal on each stage. So, you need to level up your Keyblade evenly to make this one happen. My Keyblade that I used the most is Starlight. Because of the variation of the slot. 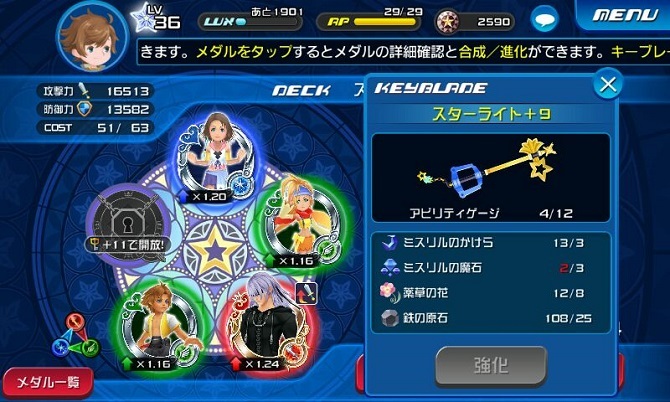 So, when you attached to power, speed, and magic medal, it will increase all the power rather than Lady Luck Keyblade that focused on speed medal. Oh yeah, for the six stars medal, you can use the Cid medal to reduce its cost by ten ( Maximum is 20). One Turn Kill: Do you want to earn more Lux? If so, you must defeat all your enemies in one turn. Also, the other benefit is your HP will be safe from harm. If you can, always kill your enemies on one turn. Because the quest of the story mission is required to kill all your enemies on one turn only. Keyblade: The last one is about keyblade. Actually, I don’t have any recommendation about the Keyblade, because every weapon in this game is useful. But, my primary keyblade is Starlight because it gives the power equally to the others medal. Oh yeah, you need to save up an orichalcum to upgrade your keyblade. You can get it one by passing the 25 stage each time. 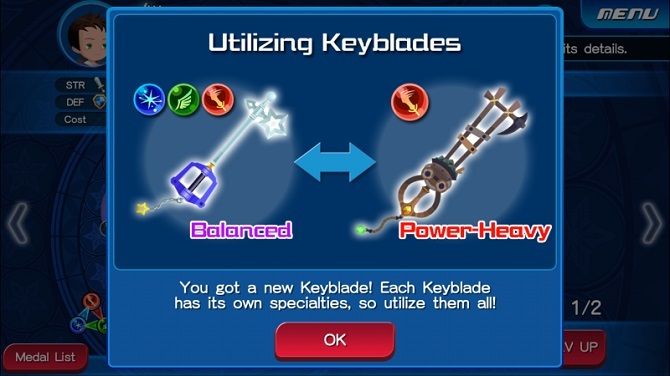 So, it all depends on you how to upgrade your Keyblade. 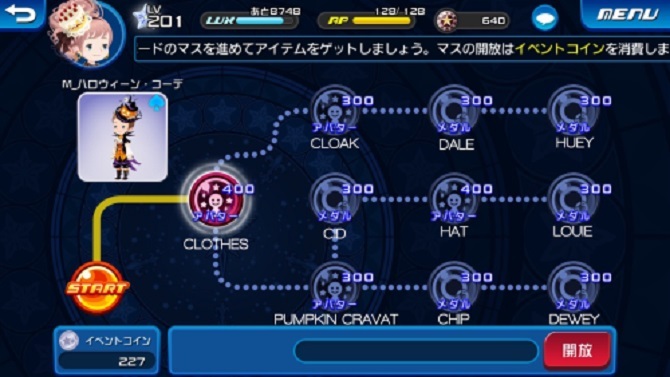 What do you think about my Kingdom Hearts Union X tips? Is it helpful for all of you? For beginner player, you should see this one to make your gameplay little bit easier. Okay guys, I think is enough for today article about Kingdom Hearts Union X guide. See you all again next time. Have a nice day and good bless you all. Dragon Mania Legends Guide, What Should You Know About This Game? Best Romance Anime That You Need to Watch in My Opinion! Best tips and trick KH union x ever! The best tips and trick about KH game! The best KH Union tips and trick that everyone should know. I apply it and the effects it’s really tremendous!